Ukraine to seek the liberation of all the Kremlin’s prisoners, regardless of their ethnicity and religion. Mustafa Dzhemilev, the leader of Crimean Tatar People made a relevant statement during the meeting with Ilmi Umerov and Akhtem Chiygoz, Deputy Chairmen of Mejlis of Crimean Tatar People both released from the Russian detention. “We will seek the liberation for everybody regardless of their ethnicity and religion. Every person under repression there is in the sphere of our attention," he said. 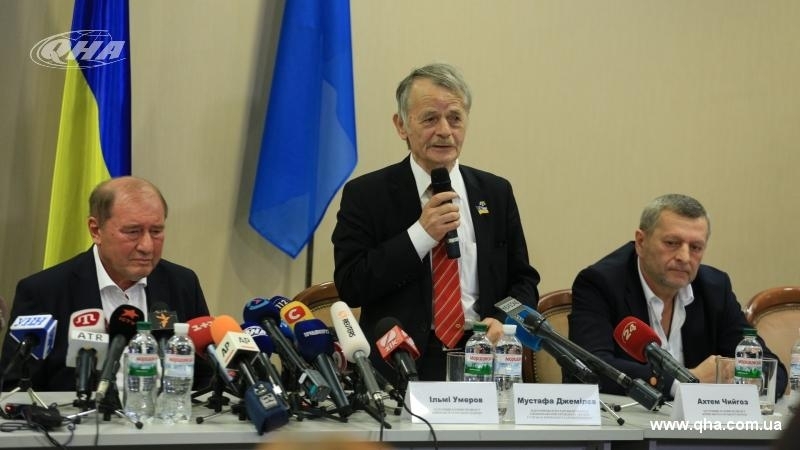 Dzhemilev intends to involve Turkish President Recep Tayyip Erdogan and international organizations such as Council of Europe and OSCE to the process of liberation. On October 27th they arrived to the international “Boryspil” airport in Kyiv, where they were met by the Head of Mejlis of the Crimean Tatar people Refat Chubarov and the leader of the Crimean Tatar People Mustafa Dzhemilev. Earlier during the press-conference , Umerov stated that the de-occupation of Crimea as well as restoration of the territorial integrity would follow the liberation of Ukrainian political prisoners.